Looking for a decent eBook reader for Android? 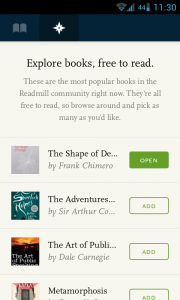 I recently stumbled upon Readmill, a very beautiful and simple eBook reader that offers you web integration and cloud saving as well as a really nice app. Basically, it has almost everything I want in an eBook reader, all while maintaining a very streamlined and beautiful interface to make the actual reading enjoyable and not a hassle. 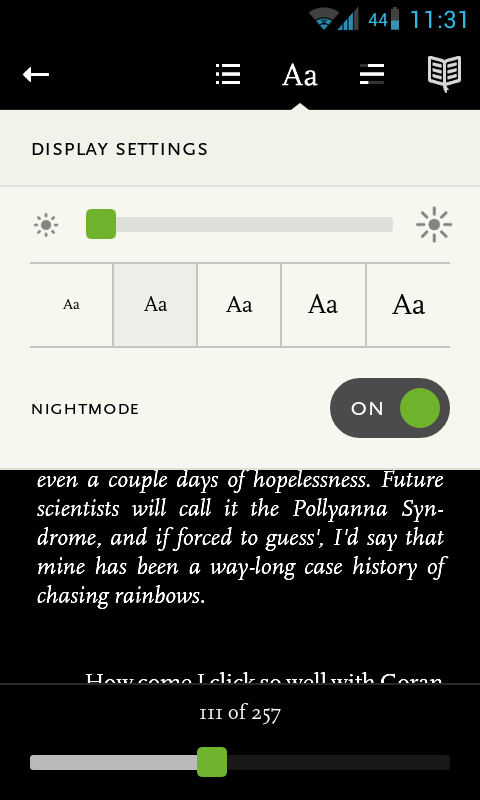 Readmill has a lot going for it, and had a very nice and solid iOS app already, but their first foray into Android isn’t that bad and it has become my favorite app of the sort for reading on the go. Wanna find out why? Well, then let’s look at what’s inside, how it works, and what it offers you that’s so good! As you can see, it displays all your books in a concise and easy to understand manner. 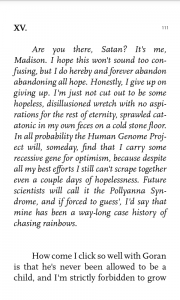 It displays the book title and author, and in case you already are reading it, it also shows a progress bar below the title that lets you know how far along into the book you are, which is a nice way to convey that information. 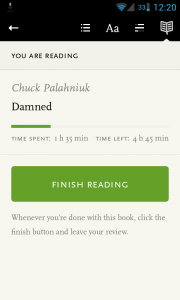 If you swipe left, you’ll access the “Reading” section, which filters your books and only shows those you have already started to read. 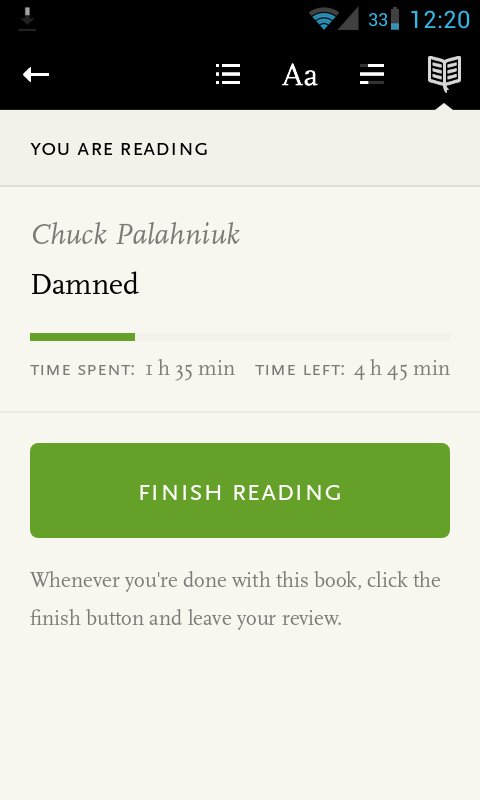 The “Finished” section shows all the books you have read to completion, so this is also a nice way to keep track of your library. 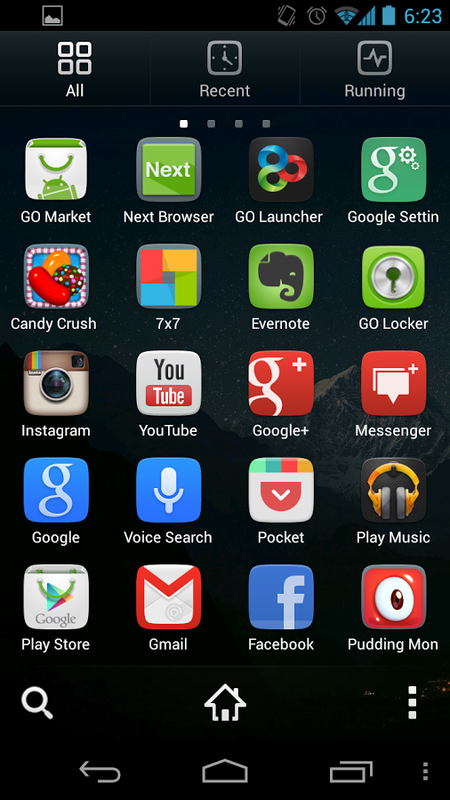 There are also two icons at the top, one for the “Library”, and another one for the “Explore” section. The Explore section is a great addition, and will show you popular books that you can add to your library and read absolutely free. It’s a really nice way to find new books, and honestly, the selection is nothing short of amazing. You’ll find all the classics and public domain titles, but you’ll also find specialized books and books that teach a skill. It’s a surprisingly nice feature. To navigate through the book on the book interface, just swipe like you would a real book, or tap the screen, and you’ll see the next page. 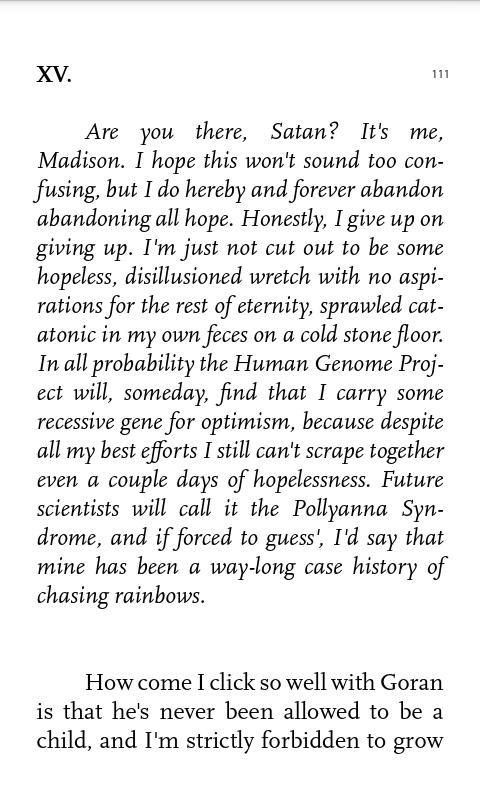 You’ll also see the page you are currently in as you advance, and the fonts reflect the content of the book, appearing in italic or bold as they would in the actual book. 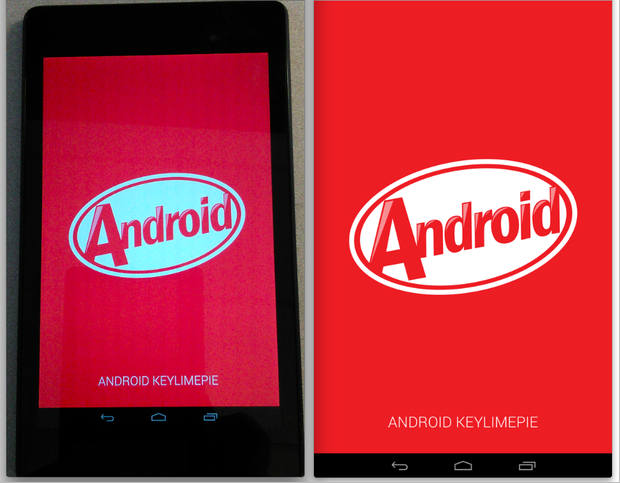 The interface also only pops up when you actually need it and stays out of your way. It places the content first and the interface really is optimized for reading and displaying as much of the book as possible first and foremost, which is the way it should be. The web interface doesn’t allow you to read books directly, but it shows your progress and has a social network associated to it, allowing you to find friends through Twitter or Facebook also using the Readmill service. You can also read reviews, search for new books to read, see recommendations, make certain books private and even share books and progress. 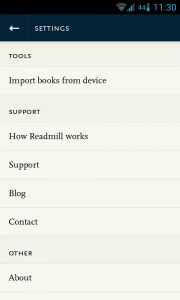 You can also see your notifications and buy books directly from the web interface. It’s a nice complement to the app, and honestly feels very robust and it’s just as pretty as the app. 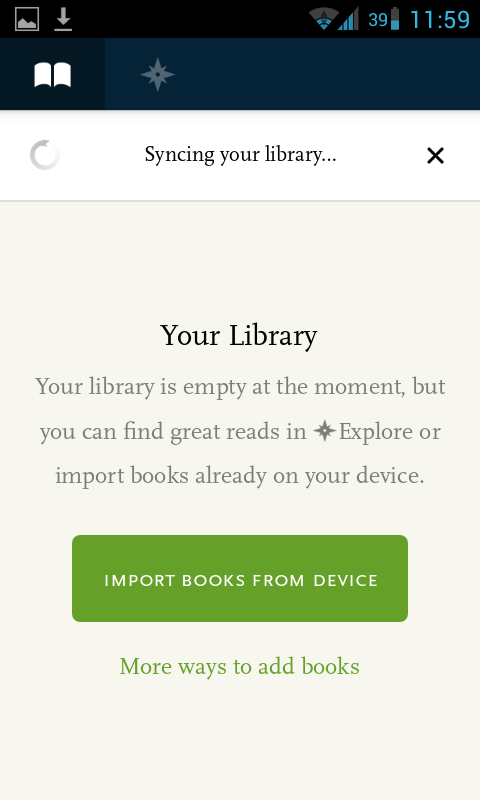 One thing the app does wrong, at least for the moment (the blog mentions it’s coming for Android soon as well) is the lack of support for DRM eBooks. If you upload a book into the service and it happens to be DRM protected, it will appear on the web interface and be synced to the iOS app, but not the Android app. It won’t even appear on your device’s library! Hopefully this will be fixed soon, because it’s a critical limitation that impacts the usability of an otherwise spotless app. 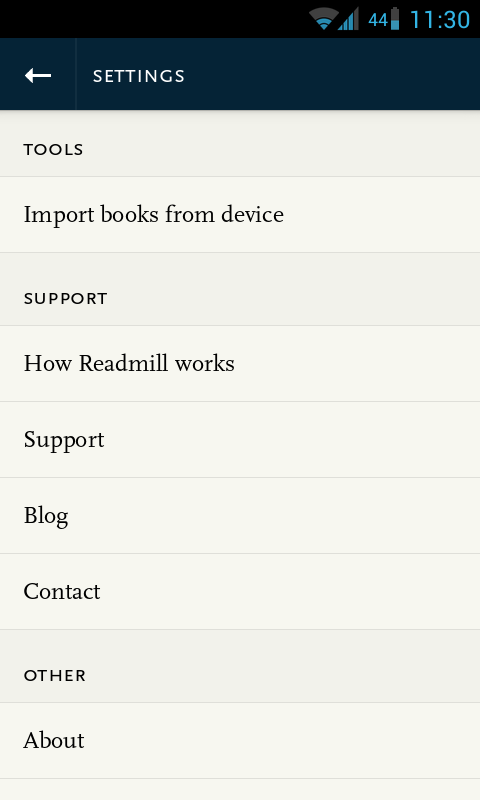 And well, that’s about it for Readmill. Reading on the go (or on small devices) is not the most thrilling experience in the world, so you really need all the help you can get. 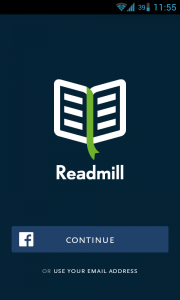 It doesn’t make sense to use a heavy, feature filled PDF app just to read your books, so Readmill does the job, and also offers a complementary web interface that automates a lot of features and keeps you progress and library on the cloud. It seems to be made by readers, for readers. Very nice. 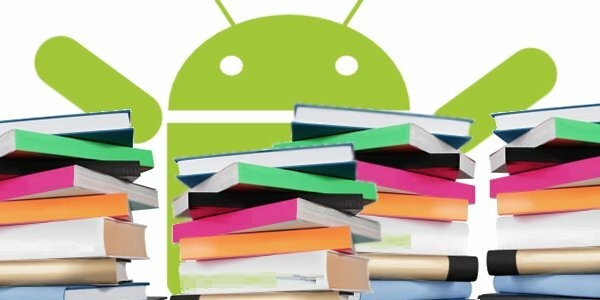 What do you use for reading books on Android, though? Let us know in the comment section below!